Note-You don't have to make all 12 s'mores at once. 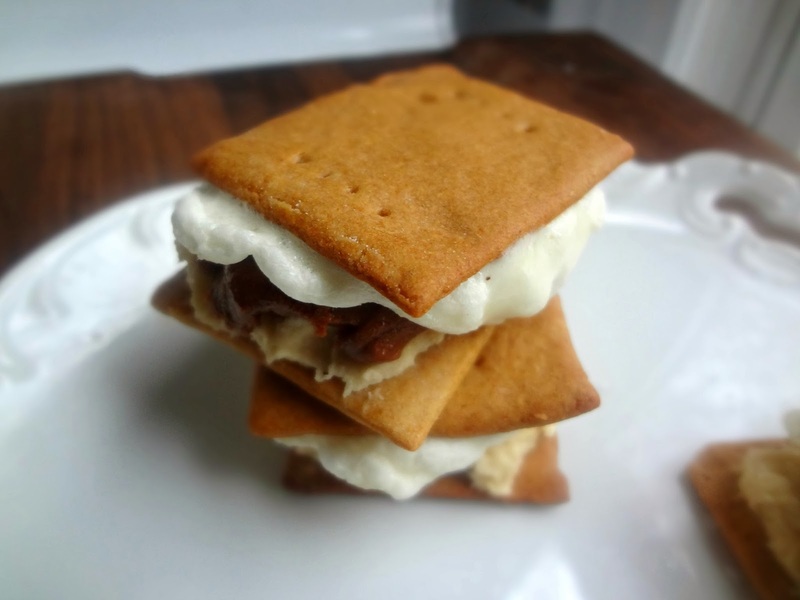 You don't even have to make 12 s'mores. Just store extra cookie dough in the refrigerator and either use as needed in future s'mores or...ya know...just eat it. Small pieces of dark chocolate, milk chocolate, your favorite candy, or about 1 tbsp. of nutella, peanut butter, salted caramel, etc. Using an electric mixer (stand or hand) beat together butter and sugars until fluffy (about 2 minutes). Mix in vanilla and milk/cream. On low speed (or by hand) stir in the flour and salt until incorporated. Spread about 1 tbsp. of dough onto 12 graham crackers. 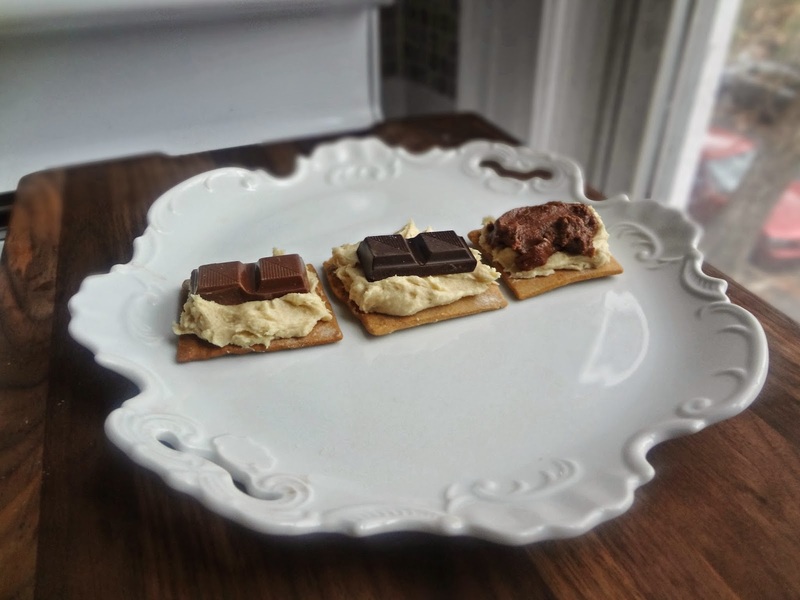 Place milk chocolate on a third, dark chocolate on another third, and a dollop of nutella on the final third (or use any candy or peanut butter or caramel sauce on however many you like). 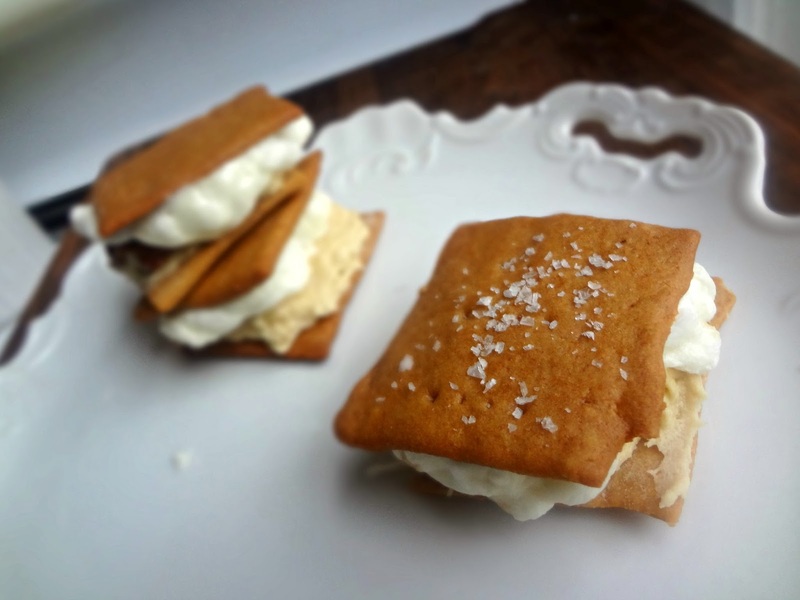 Place marshmallows on the remaining 12 graham cracker squares. Place on a baking sheet and place under the broiler until golden brown and toasted (keep a close eye to avoid burning! 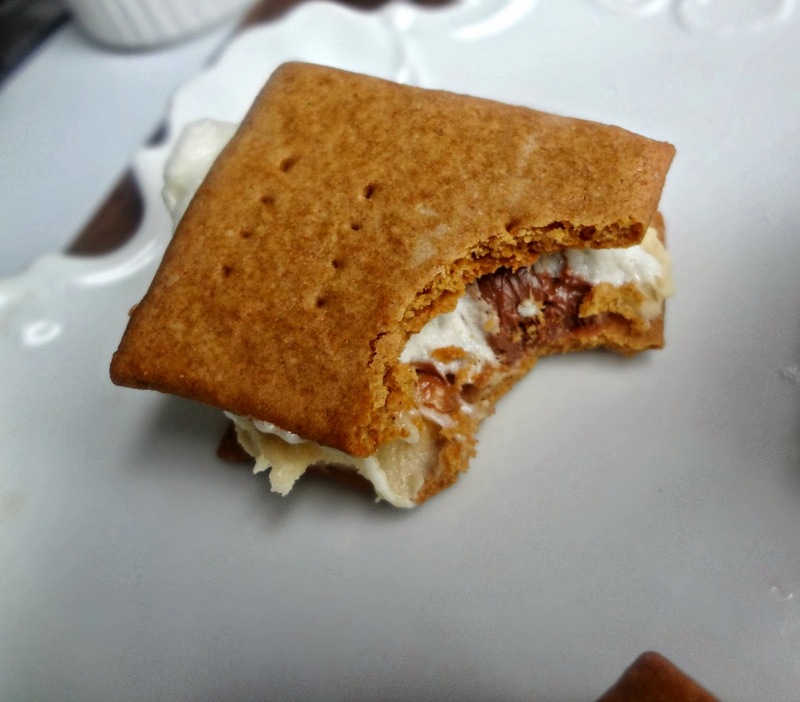 )-you can also toast the marshmallows over a fire, a gas stovetop, or using a kitchen torch, or just puff them up in the microwave. 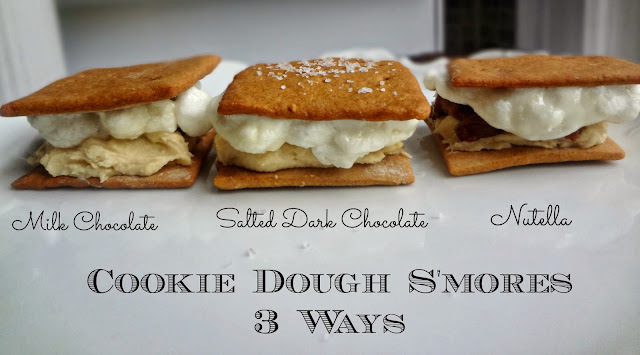 Gently press the graham crackers with marshmallows on top of the cookie dough/chocolate halves. Let sit for at least 30 seconds to allow the chocolate to begin to melt. 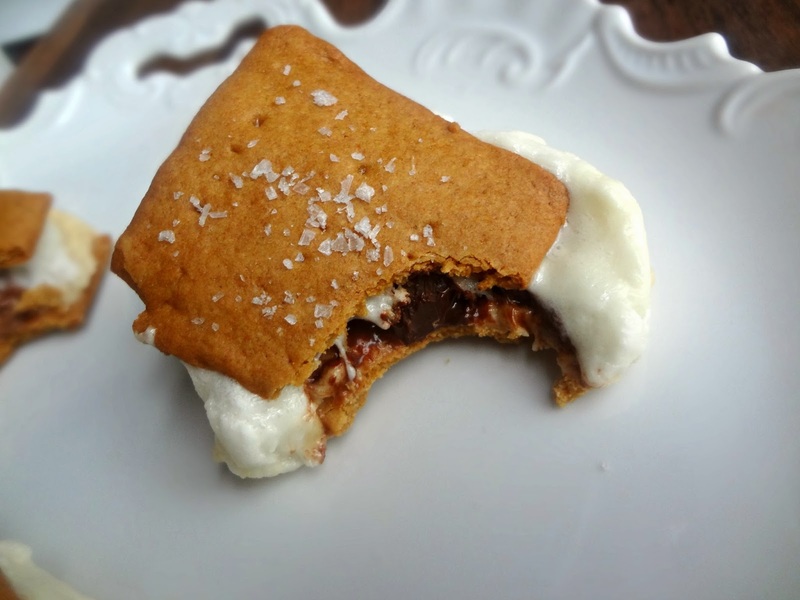 Sprinkle sea salt on top of the s'mores with dark chocolate (or any of them that you'd like). The beautiful 3 different chocolate options, just sitting and waiting for their other halves. It's sorta romantic, in a s'moresy kinda way. Everyone, have a HAPPY THANKSGIVING tomorrow!